Asmika Guragain/Pahichan – Bhumika Shrestha, a transgender, takes a trip down the memory lane when she was grappling with antithetical situations. Bhumika was, in fact, accustomed to hearing derogatory words such as ‘chhakka or hijara”. But did people ever try to understand Bhumika’s anguish and feelings? Perhaps, not! Bhumika loved to put on her sister’s dress and makeover when she was just five. Even her parents seemed least bothered to see their 5-year-old son’s interest in a girl’s costume. However, things started getting complicated when she entered her teenage years. “My friends, neighbors, and unknown boys started bullying me,” says Bhumika. “I also had to drop out from my school when some teachers insisted that I should behave like a boy,” she recalls with tears in her eyes. 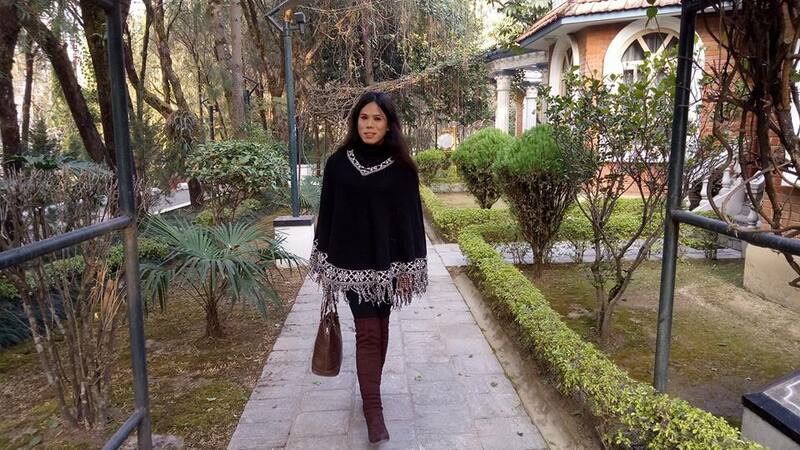 Bhumika was only 16 when she met Pinky Gurung, a transgender. “I was waiting for a bus at Ratna Park when I noticed Pinky staring at me making me feel uncomfortable,” recalls Bhumika. “Later when she took me to Blue Diamond Society (BDS), my happiness knew no bounds to encounter with other transgender,” she added. She started grooming herself later to win the Miss Pink transgender beauty pageant in 2007. 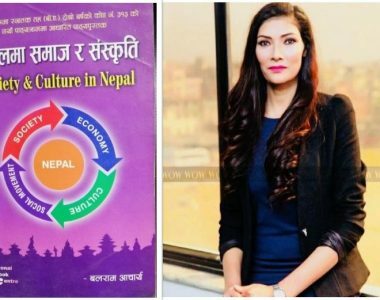 This title transformed the life of this 30-year-old Bhumika augmenting her confidence and later making her the first transgender person to be the general convention member of Nepali Congress and to contest the elections to the Constituent Assembly as the proportional representative candidate from Kathmandu constituency-9. That’s not all. She also unbolted her journey into the Nepali film industry where she will be seen in an upcoming Nepali movie ‘Kanchhi’. “The stardom that I gained after winning the pageant, and the opportunity to contest the PR candidacy, enthused me,” she said. Her involvement and entirety for the rights of transgender took her far away from the birth-name, Kailash, a boy’s name. Meanwhile, Pinky Gurung, 40, who hails from Lamjung, reminiscences of having more female friends than male friends at school. “Despite being a boy, I was often feverish and girlish due to which my friends used to call me with belittling names. I sometimes used to question myself about my nature,” recalls Pinky. After working as an activist for several years at the Blue Diamond Society, Pinky became its President. Having worked for 11 years with the BDS, she was nominated as the party candidate under the proportional representation system in the parliamentary election from Naya Sakti Party in 2017. Likewise, Sophie Sunuwar, a proud transgender woman proved herself by exhibiting her artistic skills. He was born as a son in the family and even helped the mother in the household chores. Sophie was skilled in dancing, acting, cooking, drawing, and even knitting sweaters. “I realized that I was different. My family noticed changes in me but they never raised a question about my gender,” Sophie told APD. Her journey started when she initiated working as an LGBT activist with BDS where she met other people like her. 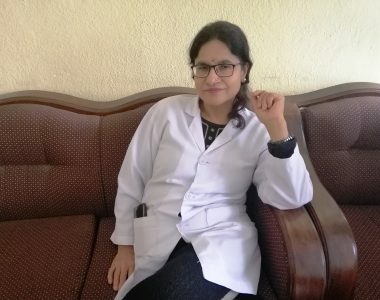 Sophie, 31 of Baneshwor, worked with WOW magazine. “Working in WOW (World of Women) magazine was a starting phase where I got to rivet my makeup skills to many celebrities,” she says. Working with this magazine not only backed her to annex other experiences but also assisted her to open her own makeup studio called ‘Reveal’ in 2015. “The road until this moment has been rocky. There was a time when I wanted to leave my passion and work but I gave myself another chance. And here I am, Nepal’s first transgender makeup artist,” she asserts. “All you need in life is confidence and ignorance, then success is sure,” this popular saying of Mark Twain is proved right by them. However, many Nepali transgenders still lack experience.